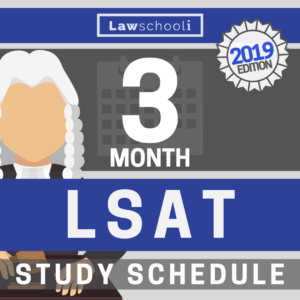 In this lesson, we discuss proper timing (pacing) strategy for the LSAT logical reasoning section. Remember that this is a benchmark to eventually shoot for. In the first phase of your prep, you should spend a considerable amount of time learning how to do LR problems untimed. Later, after you are feeling confident with the various question types, argument structure, and deductive and inductive reasoning, you can begin to think about working under time pressure. Most people find that when they start timing LR sections, they are unable to finish the section in the allotted 35 minutes. This is normal. The pacing discussed in this lesson is a goal that you will work towards, not something you need to rigidly adhere to from the moment you begin timing! We’ll discuss how to work your way towards faster time controls in subsequent lessons. The first ten questions tend to be the easiest, with at most a few moderately difficult problems. Aim for a pace of a about one minute per question. 170+ takers may finish these ten questions in as few as seven or eight minutes, but sometimes the full ten are required. 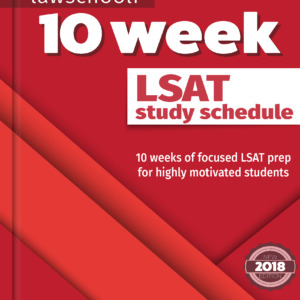 The next nine or ten questions in an LSAT logical reasoning section tend to be moderately difficult with some hard problems and the occasional very hard problem mixed in. 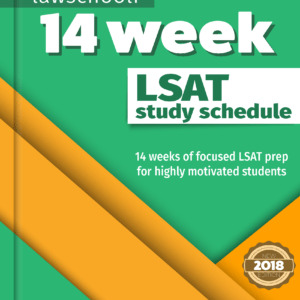 Although you are aiming to do these problems at an average pace of a minute and a half each, some may take less than a minute while others may take two or a little more (remember, as always, that it is a good rule of thumb never to spend more than two and a half minutes on any given LSAT LR problem). Hitting the first two time controls allows you about ten minutes of clock time to finish the last five questions on the logical reasoning section. These final questions tend to be a mix of moderate/hard/very hard. This gives you a comfortable two minutes on average for each question. In an ideal world, you wouldn’t use the full ten minutes and you’d have three, four, or even five minutes left to recheck problems that you found difficult. Sometimes, however, the reality is that you are a left with no time at the end of the section to go back through. Write these time controls down somewhere & see if you can hit these benchmarks as you work through logical reasoning section drills. Generally speaking, those hitting 165+ scores will be doing something very close to this in terms of timing strategy. Note: a common modification is to avoid those time-consuming parallel reasoning questions until the end, tackling them only if you have a lot of time, and marking a guess answer for them otherwise. This lesson is a sample strategy lesson from our Full LSAT Course. Looking for a course that teaches you to see LR problems the way that the test makers understand them? Come check out the LR syllabus HERE. Looking forward to working with you!